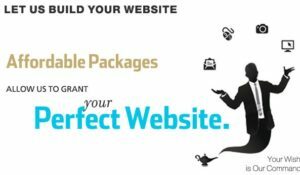 We’re glad to announce to everyone that NCS is currently running A PROMO for people to own Website/Blog without the stress, long processes and high cost in the hands of Web Developers. We consider this offer as part of our give-away pack to business owners and Bloggers who would want to showcase what they offer to the global community or target audience; thereby increasing sales in their business and Blogging to make money from the internet. Hence, we urge you to take advantage of our offer while it last. PLEASE NOTE: The #25,000 include the purchase of your Domain i.e (www.NAME.com) + 1 Year Web Hosting + Development. For basic websites and Blogs only. Provide Contents like: (About Us, Who We Are, Contact Us, What We Offer, Mission/Vision Statement etc), Logo, Images you would like us to use for your website,( though we can assist on these contents if you want). And give us the description of what your services is all about and how you would want the website to look like. Every other thing is handled by us. OUR PROMO WOULD SOON END, THEREFORE, TAKE ADVANTAGE OF OUR OFFER WHILE IT LAST. DO YOU NEED QUALITY CONTENTS FOR YOUR WEBSITE?